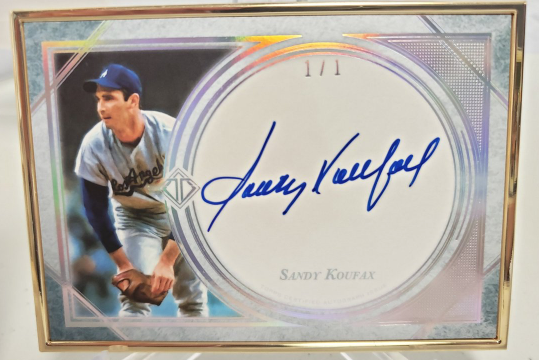 Topps Transcendent Collection Baseball Cards returns for a third straight year and remains THE most premiere, high end case of Baseball cards available. 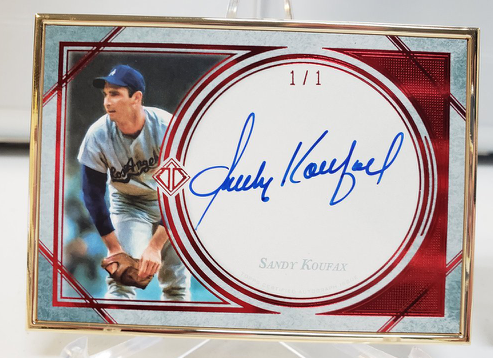 If purchasing this $30K case is not within your reach, group breaks have just begun that could net you an individual item that could far exceed your spot price. 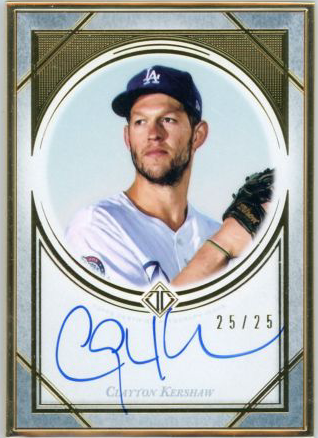 This year we will once again be tracking as many breaks, individual postings, aftermarket sales of 2018 Transcendent to see what has been pulled and what might still be in unopened cases. We will also, again, be contacting private collectors in hopes that they will share what they have found in their private cases. 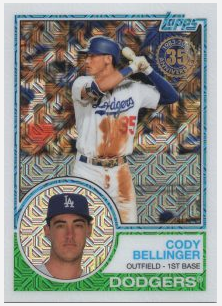 Here is the complete checklist for 2018 Transcendent Baseball with links to eBay incase you want to try to pick up an item on the secondary market. Next to the item, we will keep updating when a 1/1 item gets pulled and track what we feel are the number of cases broken to date. Of the original 83 cases made, we know of 53 cases that have been opened. 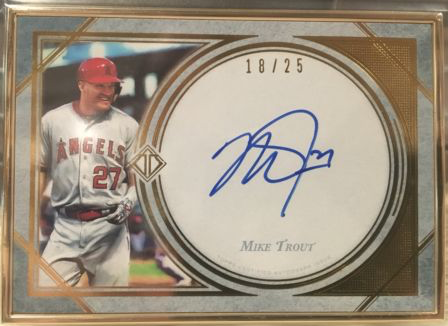 As soon as we learn about any private cases or additional breaks, we will update this post. 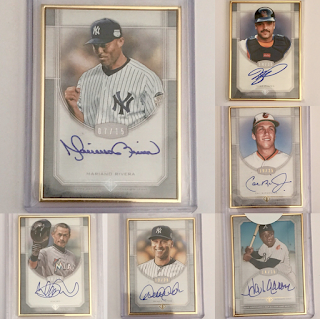 Each player has a Vertical and Horizontal version of their autograph cards, except for Andy Pettitte (Vertical only) and Derek Jeter (Horizontal Only), but their cards are marked with the same checklist lettering/numbers for both orientations. 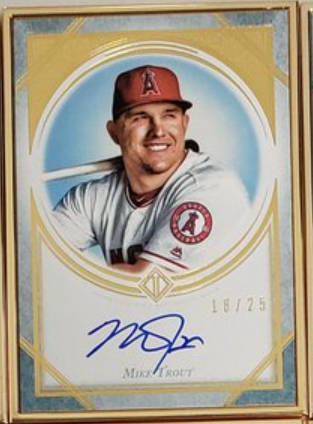 This follows the same pattern as last year's Transcendent that had the same checklist lettering/numbers for both regular and photo variations of each player's auto cards. For clarity in IDing which 1/1s have been pulled, we have added vertical and horizontal to the description of the cards, but this is not an official part of the original checklist, so they will be in parentheses. as well as the 1/1s we will be tracking. Here are the cards that have been pulled to date. Today the New York Yankees gave fans attending their home game a Replica of their 1998 World Series Ring to celebrate winning it all 20 years ago. In 1998 the Yankees finished with a record of 114 wins, 48 loses for a winning PCT of .704. They almost shut out the Texas Rangers in the ALDS, allowing only 1 run in the 3 games, defeated the Cleveland Indians in 6 games in the ALCS and swept the World Series against the San Diego Padres. As nearly perfect as this team was, it makes for a perfect opportunity for a Micro Collection. 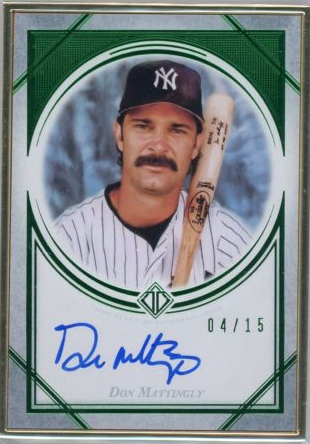 When you think baseball cards, you think Topps. For more than 65 years, Topps has been the only rock, steady producer of those 2.5 by 3.5 pieces of cardboard collectors seek, obtain and have shared over generations. 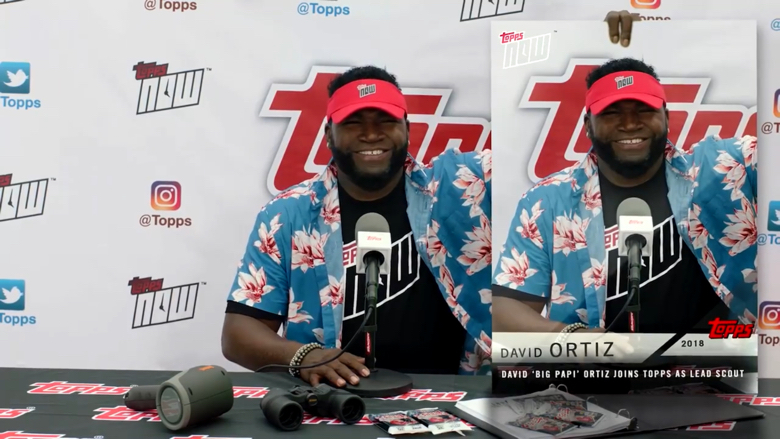 It was announced today that the tradition will continue as Major League Baseball and The Topps Company today have extended their exclusive global partnership for MLB-licensed trading cards through 2025. 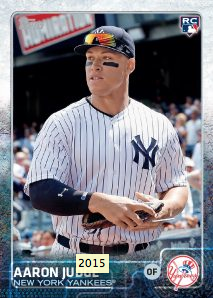 Since 1952, the long-standing partnership between Major League Baseball and Topps has allowed Topps to create iconic trading cards that have become engrained in baseball culture, from 1952 with Mickey Mantle to 2017 with Aaron Judge. 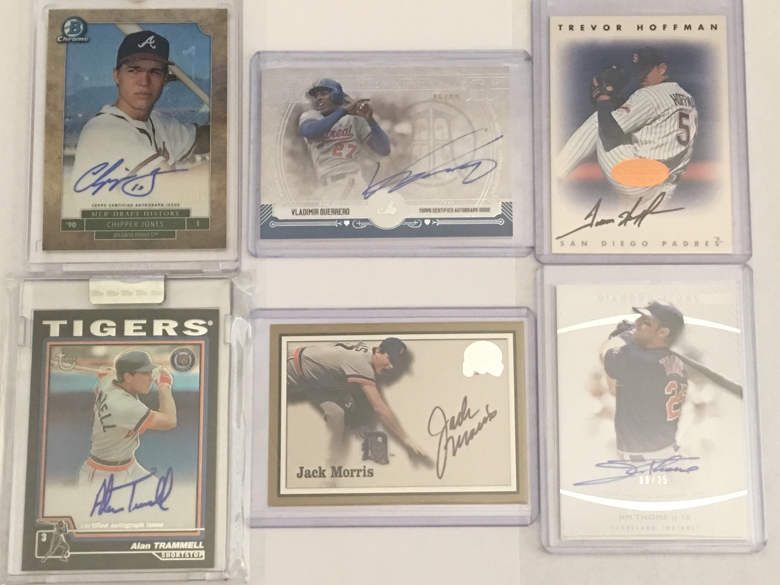 From humble origins of just cardboard to creating cards out of plastic, wood and leather, to including pieces of players’ game-used jerseys, bats, helmets and other items to autographed cards by the MLB’s top stars and rookies, Topps has changed with the times while still holding on to the essence of what got kids interested in collecting in the first place. 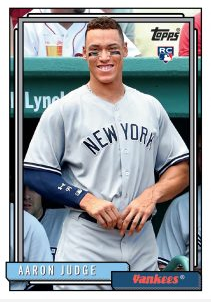 With the exclusive global license, Topps has expanded it’s range with direct purchase items on it’s website, topps.com, with innovations like TOPPS NOW, the first on-demand trading card that captures the best baseball moments on a nightly basis, The Living Set which is the first cross-generational set featuring lifelike artwork and leveraging Topps iconic 1953 design. Topps has also provided amazing opportunities for fans that are tied into their products, including the Topps\ Make Your Pro Debut contest, where a lucky fan becomes a Minor League baseball player for a day, trips to the T-Mobile Home Run Derby and All-Star Game presented by Mastercard, and private dinners with some of baseball’s greatest players and legends, such as Cubs superstar Kris Bryant and Hall of Famer Hank Aaron, through its Transcendent Collection experience. When I wrote my original article on The Joy Of Micro Collecting I was looking for creative solutions to keep me collecting but that wouldn't consume large amounts of time. Coming up with small collecting tasks that I could complete easily and quickly was a revelation for me and greatly satisfied my completionist tendencies. 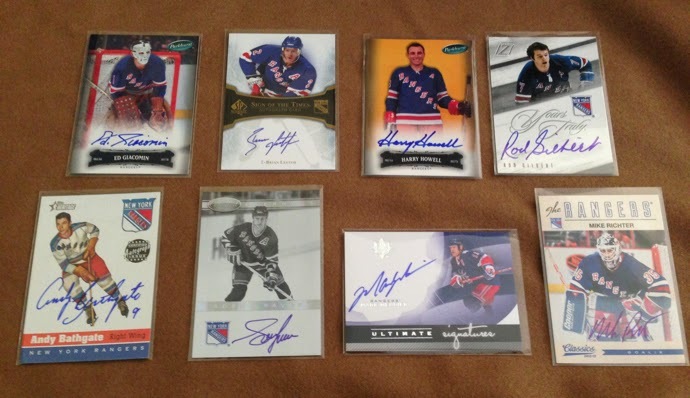 Choosing to collect on-card autograph cards of all the players that have numbers retired by the New York Rangers was the perfect start to my micro collecting back in 2015. It didn't take long to complete this collection. Considering six years had past since the last number to be retired, I considered this Micro Collection to be complete, so I moved on to other projects. Then, out of the blue, the Rangers announced in August of 2017 they would retire Jean Ratelle's number 19 in 2018. Now my collection was incomplete. So Zippy Zappy over at Torren’ Up Cards has a Blog Bat Around going on that is intriguing. 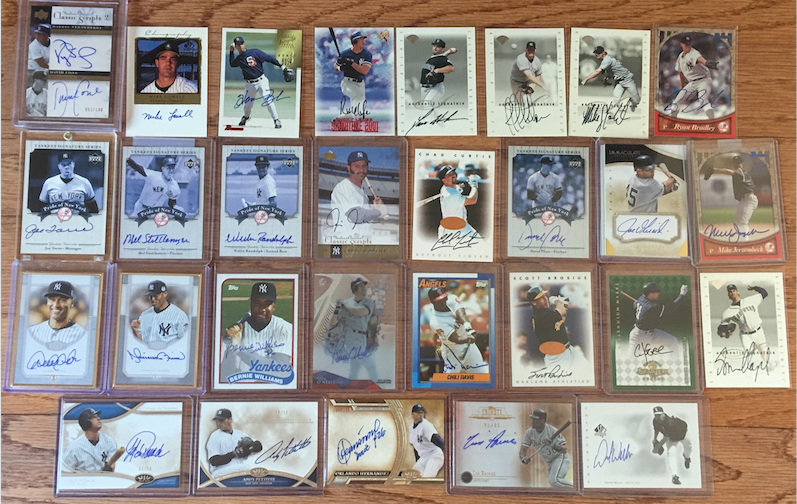 Everyone has their favorites when it comes to All Time teams but what happens when you throw in the requirement that you must have an autograph of the player? I’m jumping in with my All Time Autograph Team and setting some of my own ground rules. 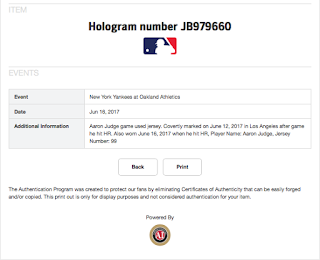 Shohei Ohtani has signed an exclusive autographed memorabilia deal with Topps Authentics, the memorabilia arm of The Topps Company. 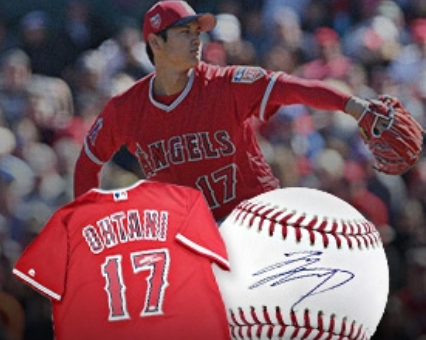 Topps.com is now the only place to get authentic signed memorabilia from Ohtani. 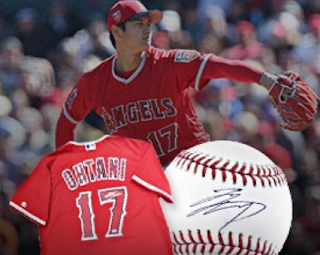 Items signed by Ohtani are witnessed by representatives of Authenticators Inc., the industry standard for autographed and game-used memorabilia authentication. As of this post there are 8 types of items listed for sale, 7 Jerseys and a signed Baseball. Topps plans to have signed bats listed too. There are different Jersey versions of both Authentic and Replica Jerseys in home white and away red, signed either with his lone signature or his signature and “Kanji” inscription. 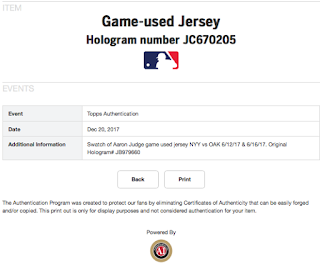 This Topps Authentics deal is separate from Ohtani’s autographed baseball card deal with the company. His first pack-pulled autographed card appeared in 2018 Topps Heritage Baseball, which is currently in stores. With this deal Ohtani joins other MLB players who are part of Topps Authentics including Francisco Lindor, Gleyber Torres and Amed Rosario. You are walking through your local big box store and either yourself or your child notices the card section right next to the check out registers. 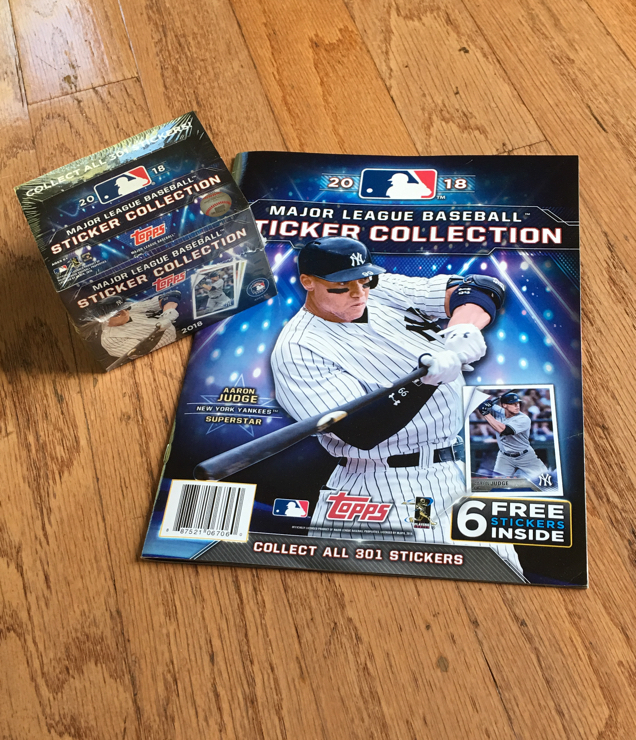 Front and center is the 2018 Topps MLB Sticker Collection with a few boxes of stickers and starter albums to hold the set. With 301 total stickers to collect, should you go down the road towards collecting them all? 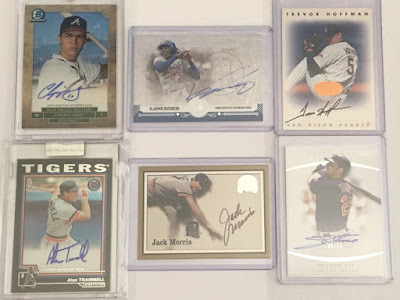 Of course fun is a crucial part of collecting but as a parent of two children I take things like cost and ease of finishing the set seriously before I allow my kids to jump into any collection. Side benefits of collecting stickers are lessons in patience, perseverance, completing a task and for even younger kids, number sequencing, kind of the “hidden vegetables” of collecting. From past experiences with other companies’ sticker collections that required buying almost as many sticker packs as there were stickers in the collection, any valuable lessons were lost and the fun factor quickly dissipated. 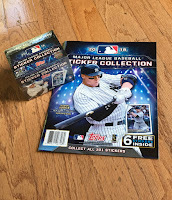 Luckily you should have very little concern of a potential downside with 2018 Topps Major League Baseball Sticker Collection as it almost perfectly fits with my ease of finishing and a low cost equation. As sticker collections go, this was one of the easiest ones to finish, the stickers look great, organization and layout of the sticker album is premium and the fun factor is very high. What follows is a parents’ guide to the sticker collection to help aid your child towards the easiest path to completion, whether you are making the purchases or you child is spending their allowance. 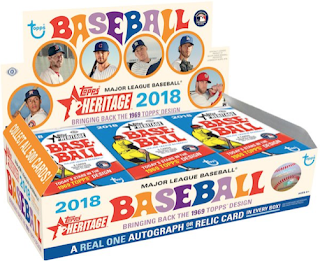 With 2018 Topps Heritage Baseball releasing next week, collectors will be opening packs trying to find the error cards that mimic and parallel the errors made in the 1969 Topps Baseball release. 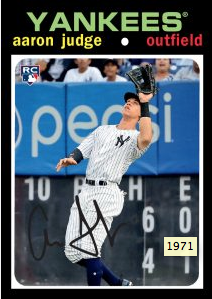 Because these new Heritage error cards are unannounced, the hardest part, most of the time, is spotting them. In 2011 we were the first to spot one of these cards. 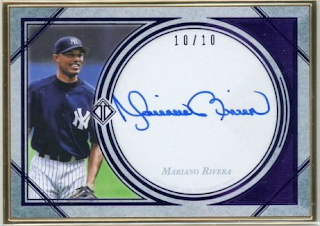 We did an article about it called Mysterious ARod 2011 Topps Heritage Card Surfaces on eBay. At the time the card was on its way to being sold for a little more than $10. That auction was ended early and relisted. When it was understood to be an error card it sold for more than $300. 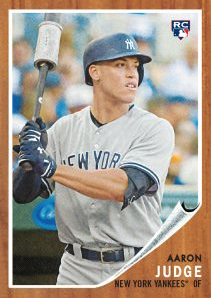 In 2015 we released an article, How to spot 2015 Topps Heritage Baseball Error cards, where we provided a guide with a checklist of cards that could potentially contain errors. It was one of our most visited articles that year. 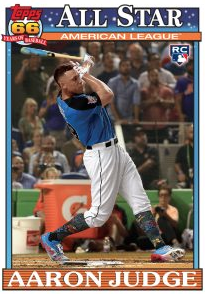 We’ve decided to do one for the upcoming release of 2018 Topps Heritage Baseball. 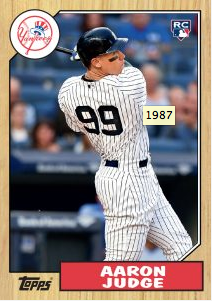 Before we get to the potential error cards, here a little history about the 1969 set. 1968 and 1969 were particularly tough years for Topps, putting together their Baseball card sets. 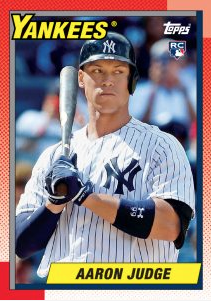 Topps Has a Surprise For Collectors in the 2017 Transcendent Collection Party Aaron Judge Topps History Set. 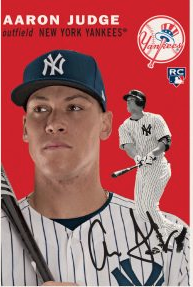 Earlier Topps announced that it would be providing a set of Aaron Judge cards, based on the 1/1 Topps History autograph card found in cases of 2017 Topps Transcendent, to collectors with invites to the Hank Aaron Transcendent Collection Party in Atlanta. That 87 card set has a print run of #/87. 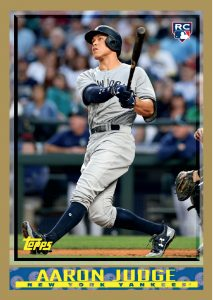 We already covered this set, and how much we thought it would sell for on the aftermarket in our article “Bold Prediction About the 2017 Topps Transcendent Collection Party Topps History Aaron Judge Card Set” With just early pre-sales, this set is pacing to sell at $9,759.64 on average. But a new development could kick that number up substantially. 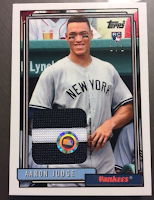 What was not made official until collectors started looking at those sets is each set contains one card that is a 1/1 Aaron Judge relic card. 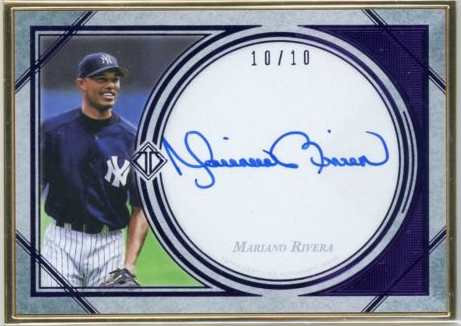 It seems these cards also have MLB Authentications stickers to ID which piece of Memorablia was used as the relic swatch. For example the 1992 Topps History card pictured above leads to this Authentication identification. 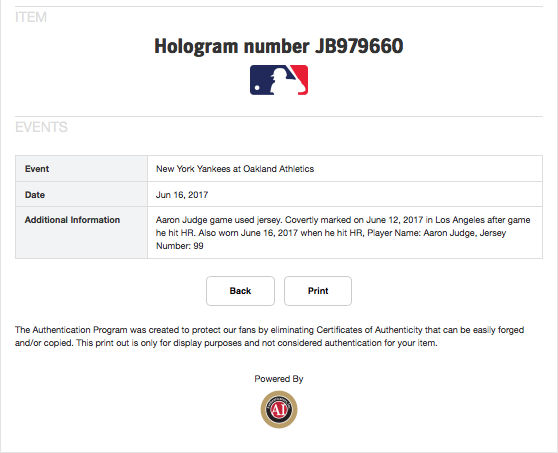 It’s a swatch from a Aaron Judge game used jersey worn 6/12/17 and 6/16/17 and that leads to another level of verification seen here. 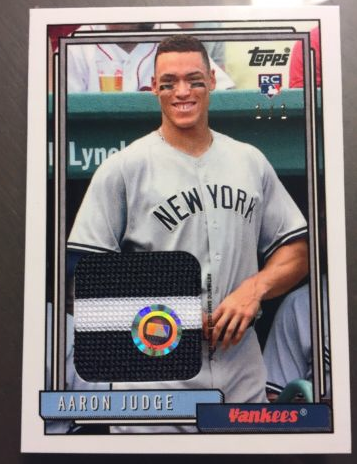 Judge hit a Home Run both times he wore this jersey. How cool is that?! ?